If you’re new to yoga or its been a while since you stepped on a yoga mat, then joining an established class might seem a bit daunting. Taking a private yoga session to learn a few basics can be a perfect way to build confidence. 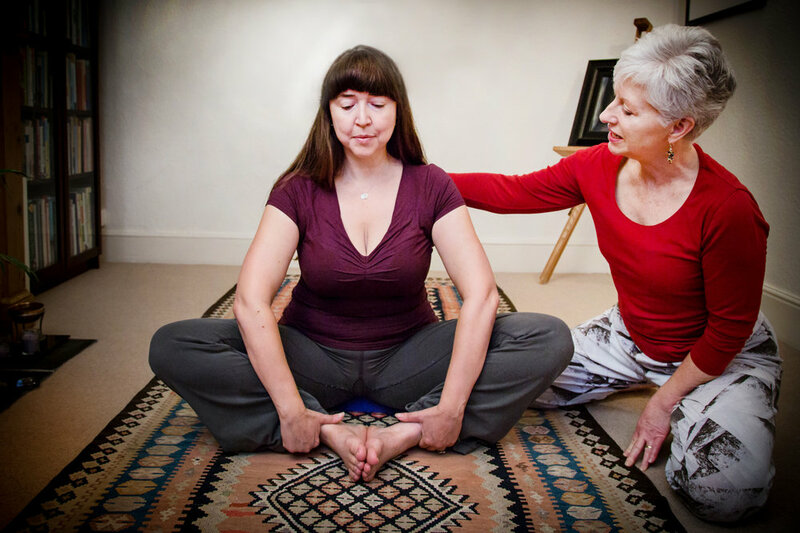 "I was given a series of private yoga lessons with Caron as a birthday present; a wonderful gift but quite a daunting thought at first! But in our first session Caron & I talked about what I wanted to achieve; we did a review of how I felt that day and Caron designed my first lesson to meet my needs. We did some lovely deep relaxation and a few simple poses. Each lesson Caron assessed me and designed the lesson to suit my needs. It’s easier to achieve a pose when someone demonstrates and then guides you as you try for yourself, gently moving an arm or leg to get you into the best position for your body. And using yoga blocks and straps to help was an entirely new idea to me. Also having someone to modify poses that don’t suit you is important; until Caron pointed it out I didn’t know I had some hyperextended joints; and it’s important to modify poses which affect these joints to avoid damaging them. We explored several aspects of yoga; breathing and relaxation; aromatherapy oils; Dosha characteristics; as well as looking at the physical benefits of yoga poses. After seven lessons I feel empowered to carry on; I felt better after each yoga session; and I know that while my yoga might not be perfect, and never will be, I am helping my body to the best it can be. It’s all too easy in our busy world to let care for yourself slip; the sessions have helped focus my mind on the need to look after myself; both mentally and physically. Caron is a great and very patient teacher. With her extensive range of yoga and associated knowledge during private lessons you can choose to learn the yoga that is right for you. Once you know what you want you’ll be able to select classes which offer the type of yoga that’s best for you." Read more about Private Yoga lessons.